Neutralizing Odors All Across America! And that’s why we’re so pleased to spotlight this growing South Carolina company. Founded and owned by a South Carolina mom who now lives and works in The Palmetto State, this clever and practical business boasts an unforgettable name … DooDooJuice! 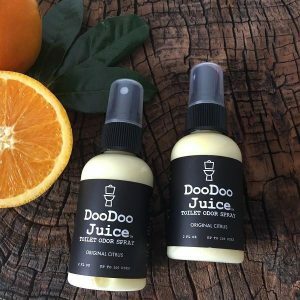 Doo Doo Juice is available directly at DooDooJuice.com, where you can order in handy two-packs and three-packs. And not only does this South Carolina business banish lingering bathroom odor problems, they help “doo” good too … $1 from every bottle of DooDooJuice is donated to community charities! 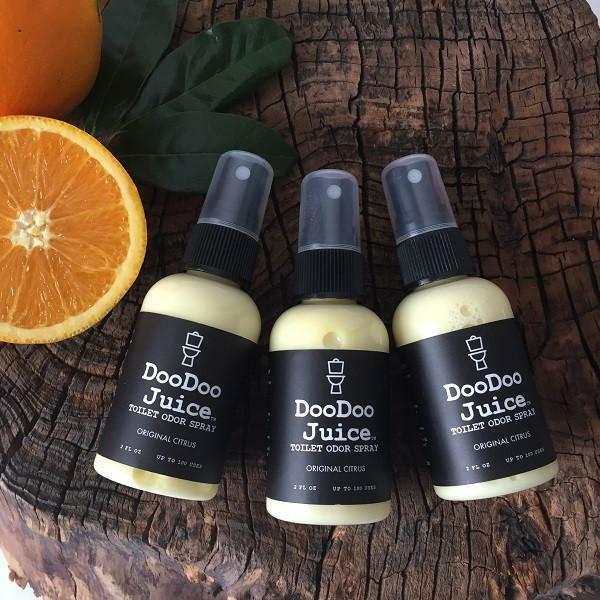 Click through to the DooDooJuice website to discover the whole story and to order yours! Historic Charleston Foundation: This Foundation is the city’s primary leader in preservation and appreciation of the area’s rich history. Between historic home tours, local events, and children’s educational programs, the Historic Charleston Foundation helps raise the awareness of the importance of preservation and restoration in the city. Since their inception, the Foundation has worked with area manufacturers and businesses to a line of home and garden furnishings and decor. These items capture the spirit of Charleston and make wonderful gifts for anyone who loves the city. At the City Market, you’ll find one of their many area stores featuring a rotating selection of items that evoke the true feeling of this world renowned city. Visit their website to experience the collection for yourself. 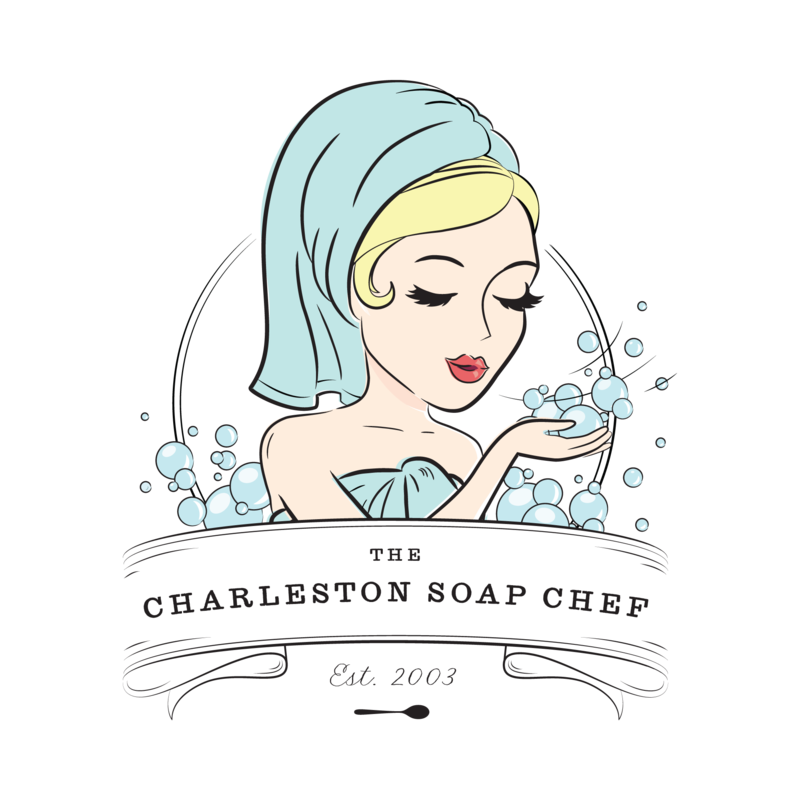 A one stop Charleston shopping experience! The Cheesehouse creates about a dozen different styles, all of which can be purchased directly at their online store. Choose from their special Charleston Caviar, a pimento cream cheese, to the delicious LowCountry Whey, made with honey and pecans. Of course, the Farm also produces several varieties of goat milk cheese, from a smooth and spreadable Fromage Blanc to chevre logs and various styles of feta. Click through to their website to see all your choices – the Farm will ship anywhere in the United States. 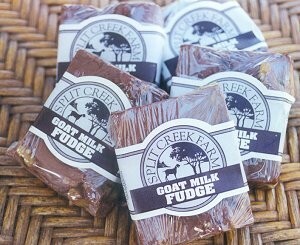 If you’ve got a goat cheese lover on your gift list, check out Split Creek Farm Goat Dairy! Fudge, of course, is their specialty, and don’t pass up a chance to try some whenever you’re in Myrtle Beach. Chocolate Caramel, Chocolate Nut, Creamy Vanilla, Peanut Butter, and Rocky Road are some of the most popular choices. We like their special blend known as Extraordinary Chocolate, loaded with chocolate morsels of all different types – perfect for the chocoholic! 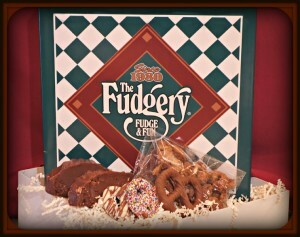 At the Fudgery website, check out their store where you can order many of their treats online. Fudge, gift packages, and their famous Fudge Sauce Dessert Topping are all just a few clicks away. The Fudgery now operates over two dozen outlets, most located in southern states although they’re expanding to colder weather locales as well. There’a a list of their locations at the website in case you want to visit them in person. 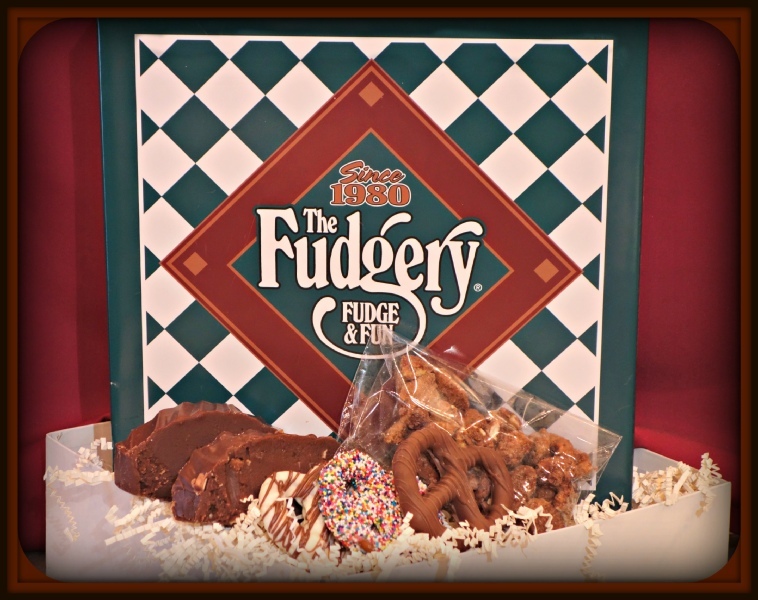 We love their fudge and we bet you will too! Charleston Pottery: Like many other travelers, Charleston is one of our favorite southern cities. And one of our favorite destinations in town is the Charleston City Market. It stretches for four blocks along Market Street and is the scene of local vendors featuring artwork, specialty food, jewelry, clothing, and just about anything else imaginable. 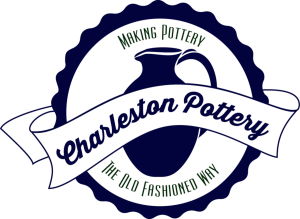 At the Charleston Pottery website, you’ll see some of their most popular works that are available for purchase online and shipping. If you can’t visit them at the Market, it’s the next best thing! 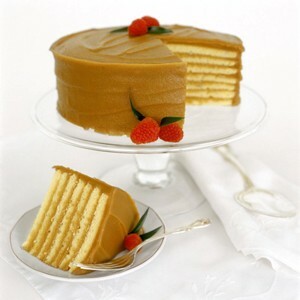 Caroline’s Cakes: Caroline’s Cakes is the mastermind of Caroline Ragsdale Reutter, a South Carolina native who created a beloved 7 Layer Caramel Cake in the early 80’s which became the foundation of her business. Her friends and family loved her cakes and word soon spread … people began asking to buy her creations and a business was born! Caroline’s is located in Spartanburg and also has a presence in Annapolis, Maryland. Cakes are decorated for special occasions like holidays and birthdays, and there’s a corporate gift program available as well. 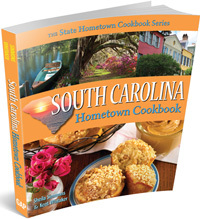 South Carolina Hometown Cookbook: Looking for an economical Palmetto State themed gift? 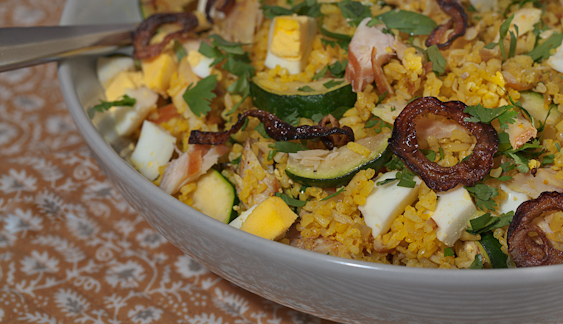 How about this collection of recipes direct from South Carolina’s best local chefs? Produced by Great American Publishers, it’s called the South Carolina Hometown Cookbook. This edition is 250+ pages of time honored recipes including some of the state’s favorite dishes. You’ll find a culinary road make to turning out specialties like Benne Seed Cookies, Country Peach Pie, South Carolina Style Barbecue, Lowcountry Catfish Stew, Cheesy Shrimp & Vegetables, and a whole lot more. The book also includes stories and information about some of the state’s many food related festivals – a great way to sample this area’s unique cuisine! A great gift for anyone who holds South Carolina near and dear to their heart! At their on site gift shop and online store, you can take home the benefits of the bee’s labors. Local honey, beeswax skin creams and lotions, candles, and lip balm are just a few of the products available. Honey, of course, is one of nature’s wonder foods – it’s a natural sweetener, great source of energy, and is known to minimize the effects of all sorts of illnesses and maladies. While many people think honey tastes the same no matter where and how it’s produced, the truth is honey differs from location to location. When we travel, we love sampling local honey, because the flavor depends on whatever the bees are pollinating locally. It’s really a delicious education! Click through to the Bee City website to see all they’re doing and to order some South Carolina honey for yourself or as a gift! 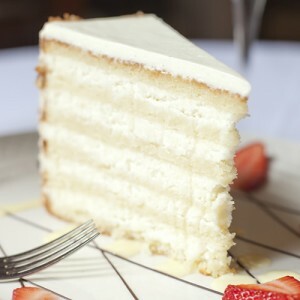 The Peninsula Grill makes The Ultimate Coconut Cake available to you via nationwide shipping via their Online Store. While it’s always better to actually be in Charleston to fully enjoy this alluring historical city, this is the next best thing! The cake is 5 inches tall and weighs 12 pounds, serving 16. It freezes wonderfully well for up to four months, so don’t worry if you order it and can’t serve it immediately (although it’s hard to resist!). Click through to The Planters Inn website to learn more about the hotel, the Grill, and The Ultimate Coconut Cake! Benne Wafers have been a big part of Charleston culture for hundreds of years. Mt. Pleasant based Olde Colony Bakery is well known throughout the state and beyond for their expertise in baking these delicious, tradition laden cookies. After all, they’ve been making and selling them since 1940! Olde Colony Bakery ships all over the country so you can be enjoying these unique specialties in just a day or two! Click through to their website to see all they’re baking for you and your gift list! 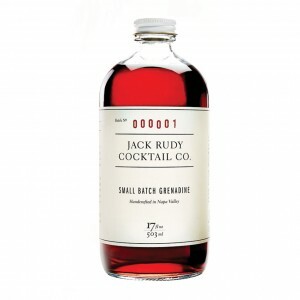 Jack Rudy Cocktail Co.: We can truly appreciate a company that honors their past while continuing to pave a path toward the future. Such is the case with the Jack Rudy Cocktail Co., whose mission is to reinvent classic cocktails of years gone by with small batch mixers, tonics, and bitters. You’ll find Jack Rudy mixers at fine liquor stores and shops across the country, or order directly online at their website. Get your drink on and enjoy! 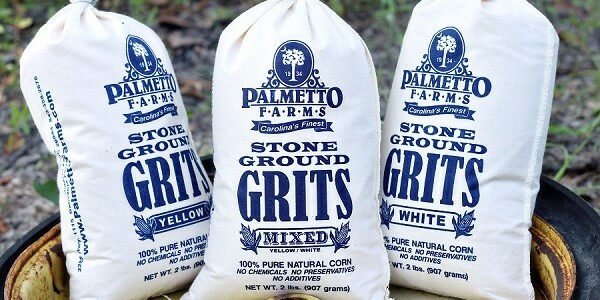 Palmetto Farms: A family owned and operated traditional milling company, Palmetto Farms has been grinding corn and grits for over 80 years. They use the best food grade corn available and grind it slowly in a stone mill to maintain the natural oil content in the grain. Over the past decade or so, grits have evolved from a simple breakfast food to gourmet status. 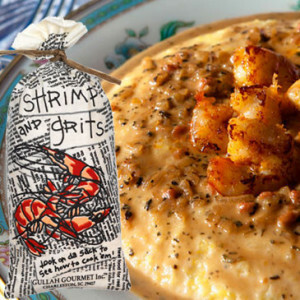 South Carolina and other southern chefs use grits in many popular dinner dishes, with shrimp & grits being one of the most well known. Grits are a very healthy part of a balanced diet, and when prepared properly, offer a rich, natural flavor with a smooth and creamy texture. 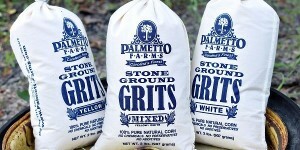 Palmetto Farms offers many recipes for grits at their website which are certain to get your culinary wheels turning! 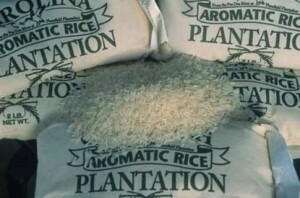 In addition to grits, the company also makes several related products, like cornmeal, pancake and hush puppy mixes, and locally grown aromatic rice. If you’ve never prepared or enjoyed South Carolina rice, make it a point to do so – it’s one of the best! You can order any of the Palmetto Farms products directly from their website and they’ll deliver to your door! All of the sides are top notch and it doesn’t end with barbecue – Melvin’s was awarded America’s Best Cheeseburger accolades by none other than famed chef Emeril Lagasse. High praise indeed! Melvin’s is well known for their sauces, too. You can order their original recipe Golden Secret Sauce or their tangy Southern Red Sauce directly at their website. It’s as good a culinary themed gift from The Palmetto State as anyone would want! 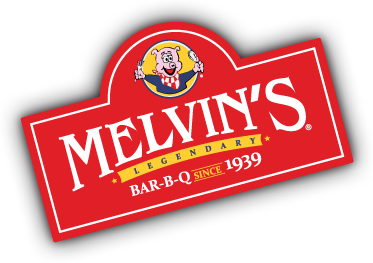 Better yet, stop by one of their locations when you’re visiting the historic Charleston area and find out for yourself why Melvin’s and Legendary go hand in hand! Low Country Produce: Low Country Produce is a purveyor of Southern specialties from the coastal South Carolina area. Inspired by traditional recipes of the area, the company works with local farmers to obtain the freshest produce and ingredients for their products which are made in small batches and hand packed. They’re based in Lobeco, a small community about ten miles north of historic Beaufort, where Low Country Produce has a cafe / retail location. Check out the Low Country Product website to see all their products! Gullah Gourmet: Based in beautiful Charleston, this Lowcountry-centric company creates a line of gourmet dips, desserts, meals, sauces, dressings, and breads with the goal of having you enjoy the great food and culture of this wonderful part of the country. It’s no wonder why travelers visit Charleston and return again and again … the weather is delightful, the people are welcoming, and the food is unbelievably good! Gullah Gourmet is named after the Gullah dialect which was prevalent here for hundreds of years. Gullah is a mix of African dialects and Elizabethan English and is still spoken on some of Charleston’s outer islands. As a nod to history, the company packages their products in handsome cloth bags screen printed with attractive graphics and Gullah phrases. Shrimp & Grits, She Crab Soup, and Gullah Gullah Gumbo are just three of their highly popular entree products. The company has been featured on The Food Network and Southern Living Magazine, and now here on State Gifts USA! Gullah Gourmet offers mixes for traditional southern favorites too. Fried green tomatoes, hush puppies, southern style biscuits, crab cakes, seafood bisque … the list goes on and on! You’ll find several dozen products, all of which make great Palmetto State themed gifts, especially for the amateur chef on your list. And don’t forget their breakfast items – you’ll find syrups, preserves, and flap jacks available on their site. 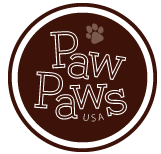 Paw Paws USA: This company creates colorful necessities for your best dog pal, like collars, leashes, harnesses, dog beds, and more. Best of all, they’re all made in the USA, right in the heart of Greenville, SC. Sturdy and easy to clean, Paw Paws collars and leashes will make your dog the hit of the neighborhood! Charleston Magazine: If you talk to enough people you’ll usually find someone with a gripe about a particular city or state. But we’ve never heard anyone who doesn’t like Charleston, SC. This small city seems to capture the imagination of so many people, from visitors to snowbirds to the year around residents calling the city home. We too love Charleston – the history, the wonderful restaurants, the laid back yet energetic vibe, and the friendly people. It’s always on our short list for a visit, along with thousands of others … Charleston is consistently ranked as one of American’s most popular cities for visitors. If you know someone who loves the city, a subscription to Charleston Magazine makes a great gift. Each monthly issue provides a snapshot of the city’s pulse, from current events to dining to the personalities that make Charleston tick. 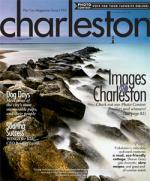 Published since 1975, Charleston Magazine is truly a visitors or Charlestonian’s best friend. Subscriptions are affordably priced, and there’s a digital edition as well. It’s a true culinary experience to discover different sea salts from coastal areas of the United State. Every one we’ve sampled has been outstanding – and unique. Like wine or honey, the unique flavors emanate from the local terroir – in this case the sea water off the South Carolina coast. You can find Bulls Bay Salt Works directly at their website. Currently, four varieties are available – Charleston Sea Salt, Smoked Sea Salt, Carolina Flake, and Carolina Margarita Salt. A wonderful South Carolina made gift … or simply buy them for yourself! Young Plantations: Located just off Interstate 95 in Florence, Young Plantations has long been known as an ideal location to pick up specialty South Carolina and southern style gifts. 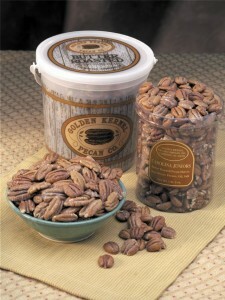 They’re well known for their varieties of pecans, available in tins, gift towers, and in their store baked pecan pies. Young Plantations is a family owned business and a favorite for corporate gifts. They ship to all 50 states and their Florence store is a must see attraction when traveling anywhere in the northeast part of the state. You can pick up some of Young Plantation’s pecan candies, pecan brittle, or chocolate covered confections at their online store and have it delivered in a day or two! 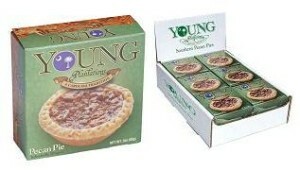 We love their mini pecan pies (shown), a smaller 3 inch version of their traditional pies. 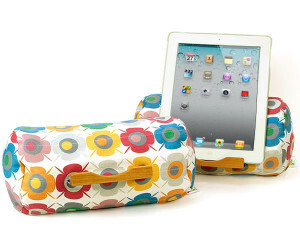 Great for a family gift or for your office! 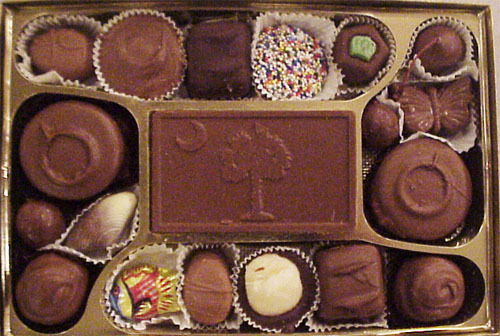 Visit their site to see the wide variety of edible treats and other southern style gift ideas! Opened in 1997 in a renovated 100+ year old building formerly housing a cotton exchange, Soby’s uses fresh local ingredients to create traditional Southern favorites and contemporary cuisine. 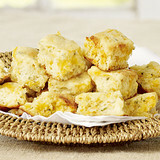 One of their signature accompaniments is their legendary Garlic Cheddar Biscuits. These flaky puffs of goodness are renowned in South Carolina! They also make a house recipe steak sauce named Soby’s New South Sorghum Steak Sauce. The sweet nuances of the sorghum pair well with any cut of meat and it’s also a terrific marinade! 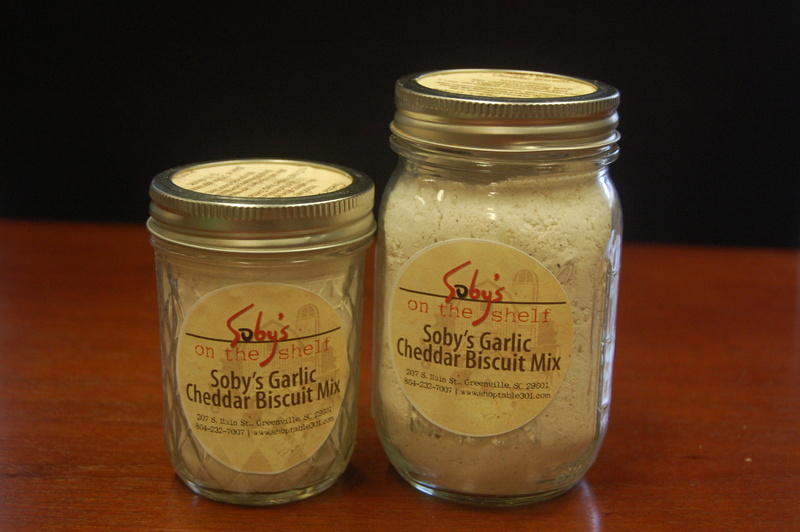 If you can’t get to Greenville any time soon (and it’s really a cool little city), you can get a taste of Soby’s by ordering their Garlic Cheddar Biscuit Mix, Steak Sauce, and a few other items online. There’s a link on their site to “Soby’s Goods” where you can order online … a very authentic gift from The Palmetto State! 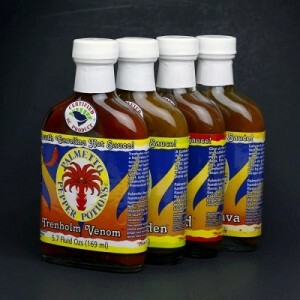 Visit the Palmetto Pepper Potions website to order! 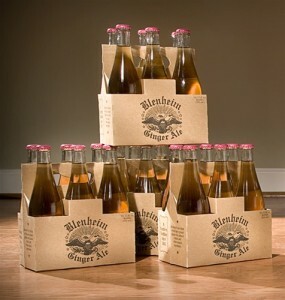 Blenheim makes three varieties of ginger ale. The first is Old #3, a spicy taste bud tingling ginger ale that has been a favorite for generations. If you like a crisp soft drink where you can really taste the ginger, try Blenheim’s! Now, these beautiful baskets like the one shown can be used in the traditional manner or for storage and display art. Because of the sweet smell, the baskets can also be used to refresh the air. Very rare outside of South Carolina, you can now purchase hand woven sweetgrass baskets online at Charleston Sweetgrass Baskets. 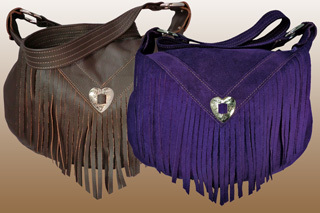 Dozens of unique designs are available, as well as one of a kind sweetgrass purses. These are distinctive gifts from South Carolina and to our knowledge not available in any other state. 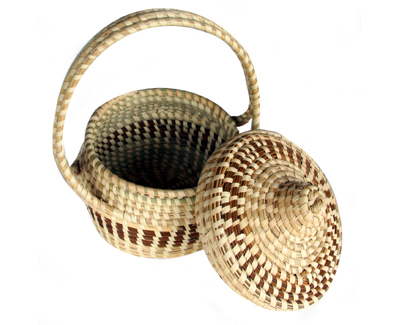 Share the pride and tradition of a hand woven sweetgrass basket with someone on your gift list! 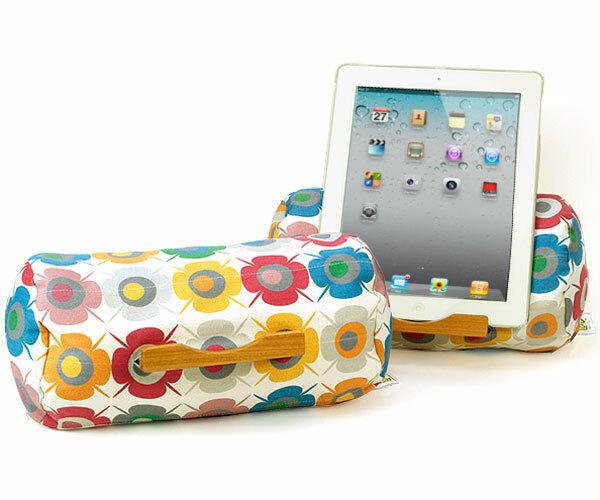 Lap Logs come in a variety of designs and styles (you can even have one personalized!) and they’re filled with eco friendly buckwheat hull filling. The outer shell is easy to remove and wash if needed. Everything is made with sustainable materials, even the packaging! Charleston Bloody Mary Mix: Some friends of ours brought back a bottle of this mix back from a long weekend in Charleston … sure beats getting a postcard! There’s nothing like a really good Bloody Mary! The product line ranges from butter roasted pecan halves to pecan candies to snack mixes to fruit and pecan specialty treats. All sorts of gift tins are available, as well as samplers and breakfast box collections. Pecans are a healthy addition to any diet. They’re loaded with protein and play an integral role in lowering cholesterol. 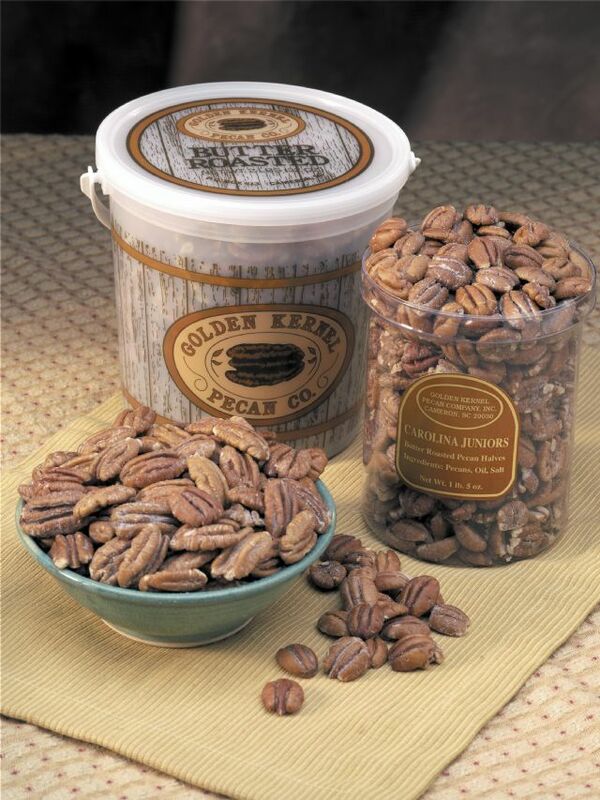 Pecans are also quite easy to use in baking recipes, or even just as a snack while watching the game! DomeCandy: Neither a dome or a traditional candy, DomeCandy is a wonderfully creative small venture located in North Myrtle Beach. Their mission, per their website, is “to spread the love of music by offering unique and creative alternatives to portable sound” … and have they ever! Well, DomeCandy creates new boom boxes out of old suitcases, like the one shown. 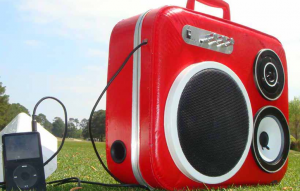 In addition to selling these unique and clever twist on the traditional boom box, they’re developing a plan to provide the necessary guidance and know how to allow do-it-yourselfers the means to design and build one on their own. 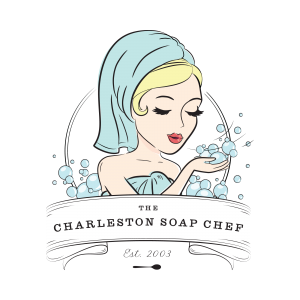 Check out The Charleston Soap Chef for the pampering feel of coastal South Carolina! Prices are exceptionally reasonable and there’s an ample selection available for you or as a gift at her Etsy shop. 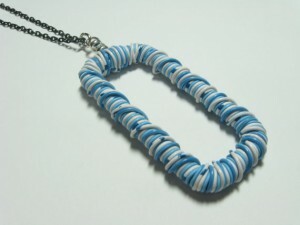 Margaret also accepts custom orders, so if you’ve got something specific in mind to create a unique piece of jewelry, get in touch! 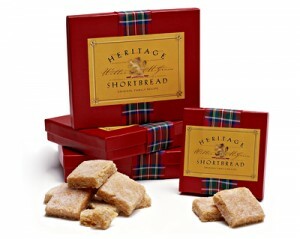 A perfect gift from South Carolina, you can order directly from the Heritage Shortbread website. 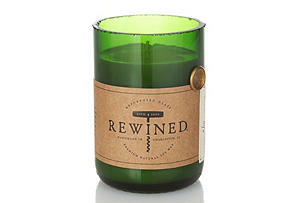 Rewined Candles: These made in Charleston soy candles are unique in that they’re eco friendly … they’re set in upcycled wine bottles! While the products may look like those you’d find at your local grocer, they don’t cook the same way and certainly don’t taste the same. 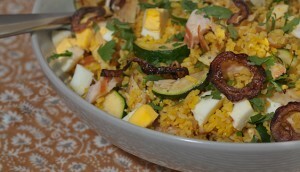 Carolina Gold Rice, for example, has a lush, delicate, sweet flavor and when properly cooked offers a texture and flavor like no other. Maurice’s Piggie Park BBQ: Although the Palmetto State might not be the first state you think of as a barbecue capital, South Carolina does indeed have a thriving BBQ scene and a style all its own. Namely, the sauce is different … it’s not ketchup based, it’s mustard based and boy is it good! And one of the best South Carolina style BBQ sauces you can taste is the sauce from Maurice’s Piggie Park BBQ, which has been a staple in the state since 1939. Maurice’s has 14 locations in South Carolina, all serving slow cooked pork specialties along with famous side dishes like banana pudding, Carolina hash, onion rings, and signature coleslaw. Everyone on your gift list can always use a new wallet or purse, right? Of course they can! 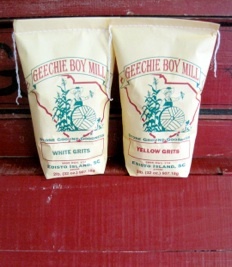 Geechie Boy Mill Grits and Cornmeal: Geechie Boy Market and Mill is located on peaceful Edisto Island, SC. Most of the Mill’s products are only available at their location, but you can buy grits and cornmeal online. What a treat for anyone who loves South Carolina! Charlotte also sells several varieties of goat milk and honey soap, lip balm, and beeswax candles. 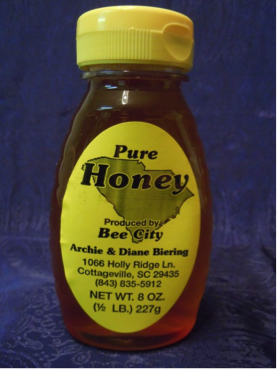 Check out her online store to see what South Carolina bees are up to! Callie’s Charleston Biscuits has been featured in national publications and on the Food Network, as well as being an enduring local favorite. You can have Callie’s Biscuits shipped directly to you, or to someone special as a gift from South Carolina. Their website also offers many other local products, including Jack Rudy Artisan Tonic, which we highly recommend as a cocktail mixer. You can only order the Tonic when you also order biscuits, so maybe Callie’s is trying to tell us something! We bet they do go well together anyway! 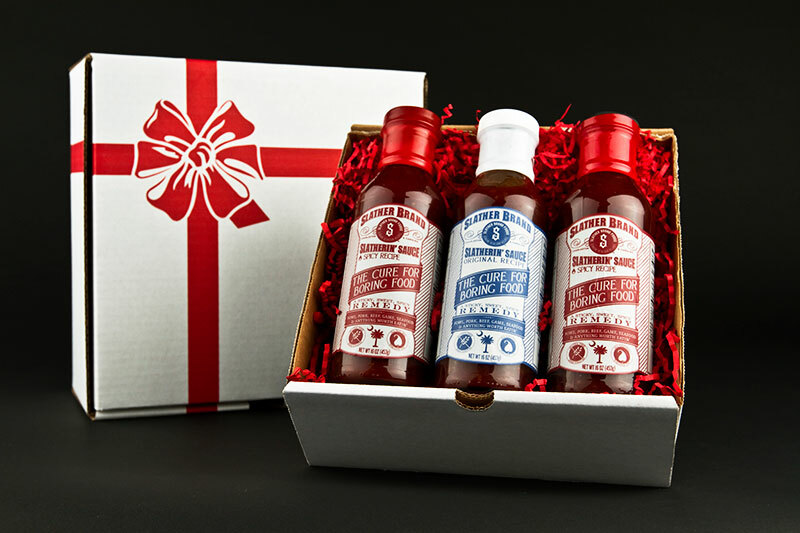 Slatherin’ Sauces: This South Carolina company makes a line of specialty cooking sauces. The flagship product, Original Slather Sauce, is described as “a natural sticky, sweet, and slightly spicy blend of pineapple, tomatoes, crushed red pepper, and spices.” Sounds good! You can have these Hilton Head delights shipped directly to your home or as a South Carolina themed gift. 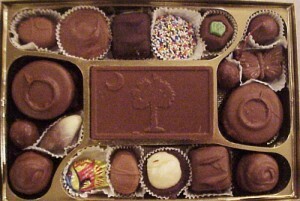 Pictured is the South Carolina Chocolate Box, a themed box from The Palmetto State. 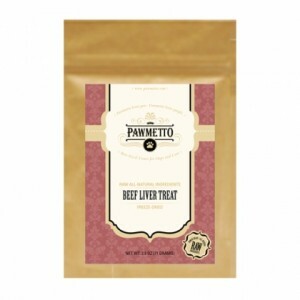 Pawmetto Pet Treats: If you’re looking for a gift from The Palmetto State, don’t forget your best dog pal! Pawmetto offers three main flavors … Beef Liver, Lamb Liver, and Chicken Liver. They’re not consumable for humans, but dogs (and cats) sure do love them! It’s great as a cold side dish, or spooned onto a sandwich. 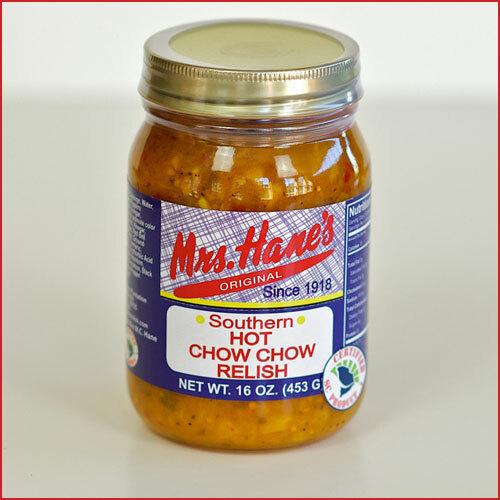 Mrs. Hane’s also makes a sweet chow chow relish. a hot chow chow, pickled okra, and assorted pickle products. Try the chow chow on a hot dog … it’s great!